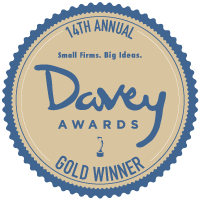 Each year the Davey Awards honor the ‘Davids’ of the agency world who get ‘Goliath’ results fast with nimble teams. This past October, Beyond won a Gold Davey in the ‘Social Responsibility Website’ category for our work on Flavors Hook Kids for the California Tobacco Control Program. Beyond’s work on ‘Flavors’ not only reflects the spirit of the Davey’s from a process and results point of view, the project takes on one of the biggest Goliaths of them all–the tobacco industry. Legislation has not caught up with the e-cigarette market and tobacco companies freely make and market flavored products highly appealing to kids. Beyond and creative agency Duncan Channon produced the “Flavors Hook Kids” website as part of a campaign for the California Tobacco Control Program. Its innovative and interactive design increases parents’ awareness of tobacco industry motives and the health risks associated with e-cigarette and other forms of flavored tobacco use, while arming them with the information necessary to protect their kids. Learn more about Beyond’s work on this campaign. Top tier professionals from the Academy of Interactive and Visual Arts judge the prestigious Davey awards. They come from a “Who’s Who” of acclaimed media, advertising, and marketing firms–including such organizations as Condé Nast, Disney, MTV, Microsoft, Sesame Workshop, Keller Crescent, GE, and many more. Find out more.